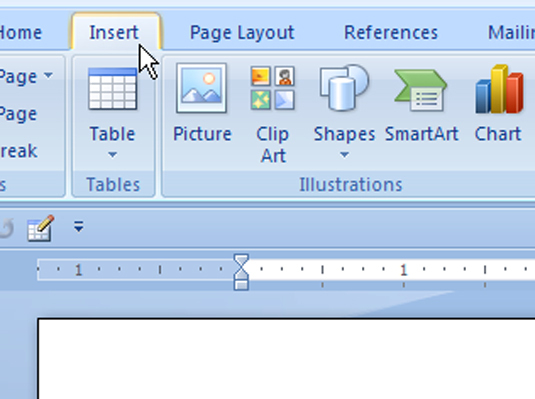 In Word 2007, you can remove page numbers you’ve inserted. 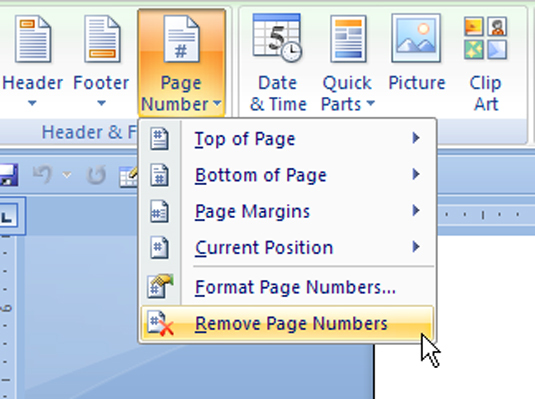 If you used the Page Number menu to insert your page numbers, you can use the Remove Page Numbers command to remove those page numbers. 1Click the Insert tab on the Ribbon. The Insert tab is the second tab from the left and is located between the Home and Page Layout tabs. 2Find the Header & Footer area. The Header & Footer area is the fifth group from the left and is located between the Links and Text groups. 3Choose Page Number→Remove Page Numbers. The Remove Page Numbers command rids your document of only those page numbers you’ve inserted by using the Page Number menu. 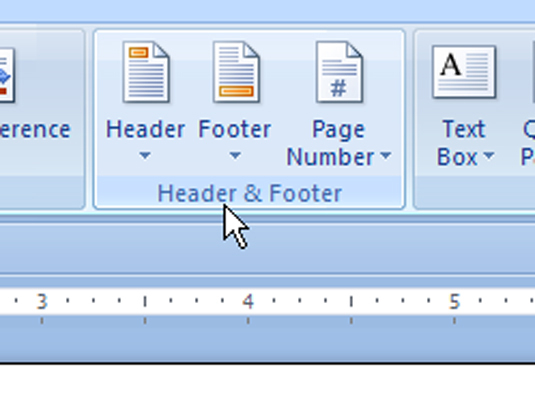 If you’ve manually added a page number in a header or footer, you must manually delete it.